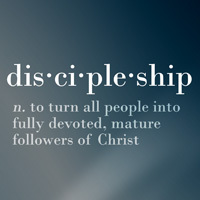 Discipleship is not an offer that man makes to Christ. Cheap grace is the deadly enemy of our church. Cheap grace means grace sold on the market like cheapjack’s wares. Cheap grace is the preaching of forgiveness without requiring repentance, without church discipline, communion without confession, absolution without personal confession. The only man who has the right to say that he is justified by grace alone is the man who has left all to follow Christ. A Christian is someone who shares the sufferings of God in the world. Being a Christan is less about cautiously avoiding sin than about courageously and actively doing God’s will. We must be ready to allow ourselves to be interrupted by God…..We must not…..assume that our schedule is our own to manage, but allow it to be arranged by God. Take courage and confess your sin, says Luther, do not try to run away from it, but believe more boldly still. You are a sinner, so be a sinner, and don’t try to become what you are not. Yes, and become a sinner again and again every day, and be bold about it. But to whom can such words be addressed, except to those who from the bottom of their hearts make a daily renunciation of sin and of every barrier which hinders them from following Christ, but who nevertheless are troubled by their daily faithlessness and sin? Who can hear these words without endangering his faith but he who hears their consolation as a renewed summons to follow Christ?